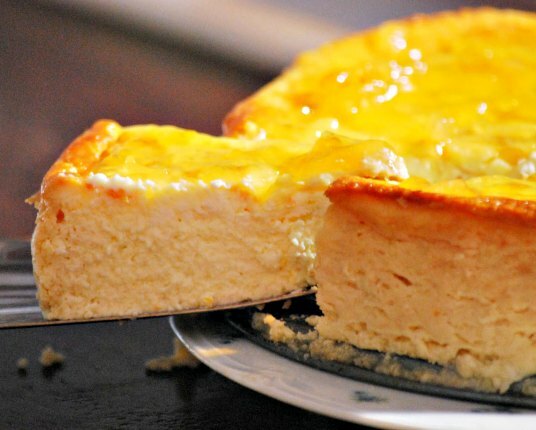 Orange cake is a typical dessert recipe from Valencia, where the best oranges are produced. Orange cake is very easy to prepare, and will become an instant success when you offer it to your family or guests! Smash up the biscuits and mix them with the melted butter. Put the mixture in a loose-bottomed tin greased with butter and put it in the fridge for 15 minutes. In a separate bowl, beat the cheese, the sugar and the orange juice until you get an even mixture. Pour this mixture into the tin and put it back into the fridge for four hours. Decorate the cake with pieces of mandarin and chocolate shavings. 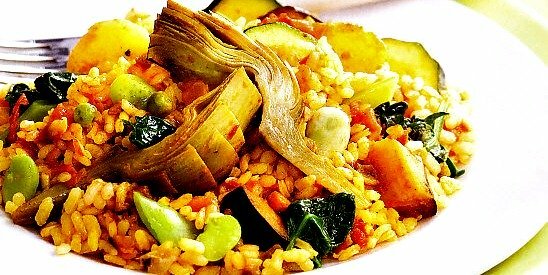 Valencia recipes: The incredible variety of rice dishes and desserts is outstanding. All this without forgetting the great variety of fruit which the Region of Valencia produces in abundance. Its traditional soft drinks have also become well-known, such as tiger nut milk ("horchata de chufa"). Its long wine-growing tradition has given rise to a delicious range of wines with their Denominations of Origin, which when added to the local soups comprise some of the most exquisite recipes of Valencian cooking.